How to use a swimming pool cover can be easily understood when you know the benefits of using a swimming pool cover. The swimming pool service contractors from SwimRight Pools in Scottsdale, Arizona explain that using a swimming pool cover should be something that every pool owner does with regularity. Swimming pool cover use can be as simple as pushing a button to open and retract the pool cover then pushing a button to seal it up when you’re done swimming or it can be a bit more time consuming if you don’t have an electronic pool cover. Even if you don’t have an easy way to get the cover on and off, it is still important you’re diligent in its use. It helps heated pool water retain heat. If you live in Arizona, chances are you’re not heating the water, but for other areas of the country, this can be a major money saving feature. 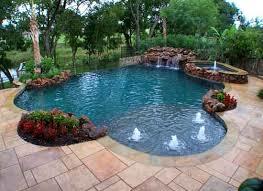 The biggest cost of energy and resource loss is through the evaporation of the water from the pool. For every point of water lost to evaporation from an 80-degree pool, you lose 1,048 BTUs of heat and that can truly impact your utility bills. Give us a call and talk about the proper swimming pool cover for your unique needs and unique pool shape.